Friday, January 25 from 7:00 p.m. until 8:30 p.m. Known for “preserving the past while blurring genres in an inventive spirit” (The New York Times), Brooklyn Raga Massive presents a musical and visual odyssey that explores ancient Japanese and Indian poetic text and lyrical prose. Shinobue flute and taiko drum virtuoso Kaoru Watanabe, known for his work on Wes Anderson’s Isle of Dogs and Yo-Yo Ma’s Silk Road Ensemble, and hybrid Indian classical tabla and modern jazz percussionist Sameer Gupta (Coltrane Raga Tribute, Adam Rudolph) team up with Indian classical and contemporary choreographer Parul Shah, whose work is expanding the classical medium beyond cultural boundaries. 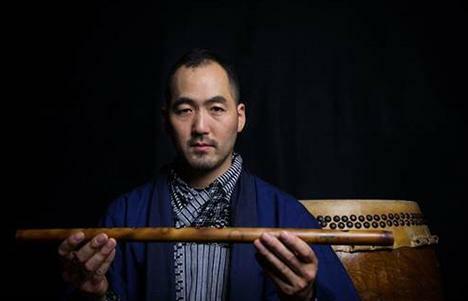 Kaoru Watanabe is a Brooklyn-based composer and musician, specializing in Japanese percussion and shinobue flutes. A former member of the world-renowned taiko performing arts ensemble Kodo, he has spent decades artfully blending the sounds of Japanese instruments with those from around the world. His collaborations include such artists as National Living Treasure Bando Tamasaburo, Jason Moran, So Percussion, Adam Rudolph, Kenny Endo, Stefon Harris, Kiyohiko Semba, Alicia Hall Moran, Tamango, calligrapher Kakinuma Koji, visual artist Simone Leigh, and director Martin Scorsese. He was a featured guest on Yo-Yo Ma’s Grammy Award-winning album Sing Me Home. Sameer Gupta completed his jazz studies learning from his peers on the bandstands in San Francisco and Oakland to Harlem and Brooklyn. Today he lives in Brooklyn and is actively involved in performing, curating, producing, and teaching through various institutions including the Outside (In)dia Series presented by India Center Foundation, Brooklyn Raga Massive, Carnegie Hall’s Global Encounters, and Ragas Live Festival. Gupta is also a co-founder and an Artistic Director of the non-profit collective Brooklyn Raga Massive. 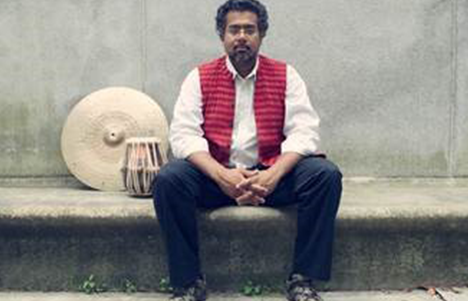 By combining traditional and modern improvisational styles drawing from his dual Indian and American heritage, Gupta has established himself as an original musical voice in music. From bebop to avant-garde jazz, and European classical percussion to North Indian classical tabla, Gupta continues to compose and perform music from a true multi-cultural perspective that now bridges several continents. Artistic director Parul Shah of the Parul Shah Dance Company is an internationally acclaimed Kathak and contemporary dancer and choreographer whose work is expanding the classical medium beyond cultural boundaries. Her work aims to create shared experiences and lasting connections between performers and audiences. Behind Shah’s work is decades of rigorous Kathak training under the world-renowned guru and choreographer Padmabhushan Kumudini Lakhia. 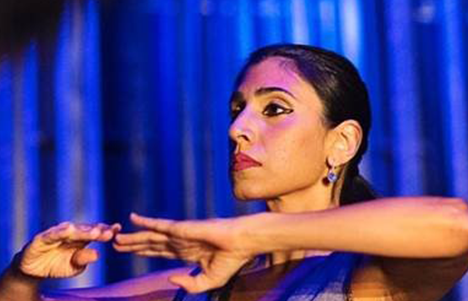 Shah’s repertoire spans both classical and contemporary dance vocabularies, and her influences include her own experiences and observations as much as her training. She is especially driven to shining a light on marginalized stories and is committed to outreach and education. Shah has presented her work around the world and at home to critical acclaim, including City Center’s Fall for Dance Festival in New York and the Kennedy Center in Washington, D.C.
For more information and to purchase tickets, please visit the Rubin Museum’s website.